When I decided to move to Brazil to teach English, I spent weeks trying to find the TEFL program that would pave the way for my moving-abroad-post-grad adventure. I had decided on a country, decided to teach English, learned I would need a TEFL certification, and wanted a program that would give me the tools I needed and then send me on my way to do the rest of it myself. After a lot of emailing friends of friends of friends (and many complete strangers), I chose Bridge Brazil’s TEFL course. I signed up, sent my deposit, and two months later I moved to Rio de Janeiro to teach English. Over a year later, I’ve realized I have a lot of thoughts that I wish someone had shared with me when I made the decision. 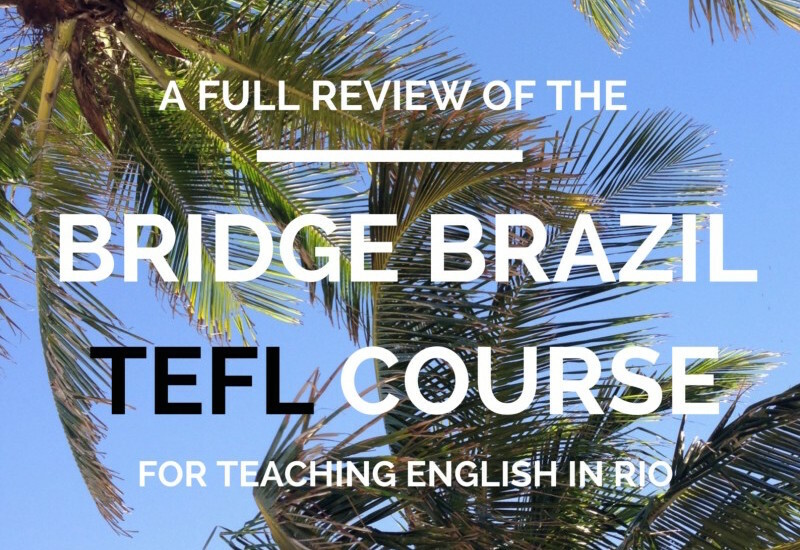 So, in true, brutal honesty courtesy of The Borderless Project, this is everything I thought of it: my full review of Bridge Brazil’s TEFL course in Rio de Janeiro. I wanted a course that was just the TEFL certification, not an all-inclusive study-abroad-round-two program. When I studied abroad the my junior year of college with CIEE Amsterdam I had an amazing experience, but I didn’t want the hand-holding this time. I didn’t want them to arrange my housing and plan trips for me and do all of that; I wanted to get in, get my TEFL certificate, meet other people I could go to for help, and then do the whole thing myself. Find my own jobs, make my own life. For Rio de Janeiro, there really aren’t those all-inclusive programs like you’ll find in more popular spots like Spain or Thailand. I found just a few that involved a month-long course. Frankly, Bridge was the cheapest at the time (not including housing). And they had a phone number of the main office in Denver, Colorado that I could call with every single question. The girl I spoke with had done hers in Argentina, so she couldn’t give me many specifics but put me in touch with former students who did. I never had trouble getting a hold of someone on the phone before I went, and that made me ultimately choose Bridge. I don’t even remember the name of the other program I narrowed it down to, but I wasn’t going to send a deposit of a thousand dollars to a website without a live human on the other end. In retrospect, every teacher I met in Rio who did a TEFL course there did Bridge, so maybe the others aren’t as big. Easy to get a hold of them, they will put you in contact with former students if you ask (email them for honest feedback), and as an American company it was easy (as an American myself) to go back and forth with them by phone. 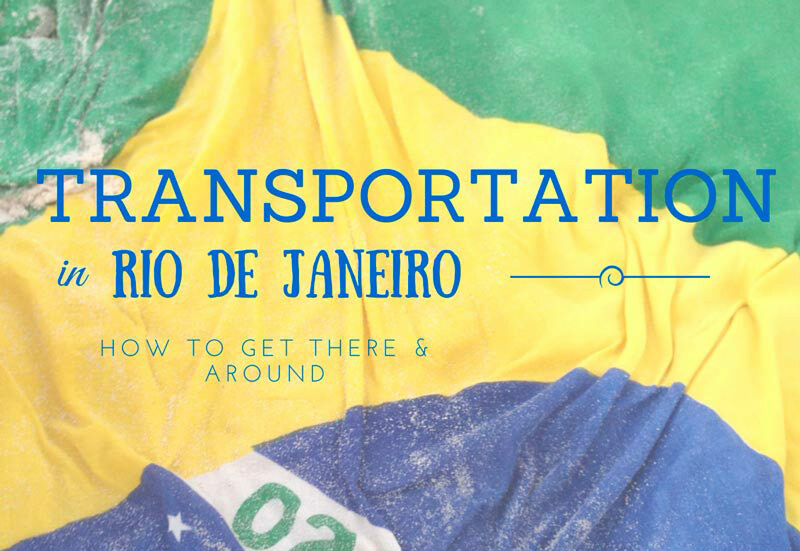 Before you go, they will also send you a bunch of information on adapting to life in Rio de Janeiro, and that was something I really appreciated. I felt it helped me get prepared to leave, and to begin to comprehend the huge life change I was making. Bridge calls their brand of TEFL the “IDELT”, it’s all the same. Kind of. Overall, I found that the program was absolutely worth doing. Like the homestay, it’s overpriced, but unlike the homestay, I felt like it was necessary. If you feel like you have no idea what you’re doing teaching English, you’re probably right. This will change that; everything you need to know can and will be taught. If you have no prior experience, this will be invaluable. I’m not convinced it’s Bridge in particular, but a TEFL course with good instructors in general. They taught us everything about teaching English, gave meaningful feedback, and after going in on day 1 wondering why anyone would ever hire me, I left on day 30 feeling like I could take over the world (and having tangible tools to do so). The same happened for everyone, and will happen for you. It’s like a 30-day turning on of a lightbulb. When you start, everything seems so foreign and you don’t even know where to begin. How you do this whole “teaching English in Brazil” thing suddenly becomes clearer, and by the end seems so obvious. You are ready to be set off on your own. The thing is, and this can be a big or small thing, the staff at Bridge and course instructors change often. There are people in the Denver office, people in the Rio de Janeiro school, and the two instructors who run your course and are with you every day, and who will make the most impact. I think it’s safe to say the upper management is a bit iffy. In my experience, the course instructors and their immediate supervisor gave it the full value and nobody else. The course instructors I had? Mind-blowingly amazing, my future best friends, mentors for everything, and incredible resources. They taught us everything about teaching, were open to feedback, incredibly knowledgeable, and amazing teachers themselves. For life? During lunch, they showed us where to get our phones. The first Friday, when none of us knew where to go out? One showed us a local samba party. Questions about how to say this in Portuguese? They’ll write it down for you. Wondering which apartment hunting site if the best and if you’re getting a good deal? They’ll take a look. These things though, are not part of their job description. This is what happens, despite Bridge management, because they’re more often than not, good people. Usually, great people. My course was run by Fernanda (head instructor) and Aaron (I have heard his position has been taken over by another teacher, Kieran, equally amazing). Like I said, they were miraculous. Stuart was the guy overseeing the program who would check in on us, and was an amazing resource for when you needed to find out about anything beyond the course. We could take feedback to him, or go to him for assistance on anything. My first bit of advice: find out who will be your course instructors. Find out how long they’ve been doing it for, and ask people from a recent month about them. If it’s any of the above people, then you’re golden. If not, hear what recent students have to say. They’ll be honest. You go in around 9am, review grammar points and learn teaching strategies, break for lunch, then return and practice teaching (each other and students). You go home around 5pm, usually have some homework, and return the next day. You can absolutely do your homework on the beach, over beers with classmates, and explore in the evening before the next day (just don’t go out if you’ll be teaching the next day). You do this Monday-Friday for a month. Every time you teach (you get 10 hours of practice classes I believe), you’ll be reviewed by your peers and graded by the teachers. These grades will determine if you get the certification. The last week, you’ll have two written assignments. You’ll need to take these seriously, and they’ll take a few hours. It’s not hard at all, but it takes time and you can’t pass the course without doing them. Passing will also depend on you being there every day, and on completing daily assignments. Some people in my course seemed surprised by this, but it still is a certification! You need to do something for it. If you attend, work hard, and use the feedback you’re given, you’ll pass and be off teaching within a week. If you work really hard and get high marks, you may be chosen as the top of your class. Certain schools know to ask what your final grade was, and will absolutely prioritize this when hiring (when can work very much in your favor!). Another great part about the course is that they’ll help you find jobs (relatively hands off, but enough help). The last week, they’ll help you with resumes and give you a list of English schools in Rio de Janeiro. They will tell you which pay well, etc., and you can choose the ones you want to email. From there, you’re on your own. You’ll go to the interviews, you’ll land the jobs, and you’ll then work only through those schools. At this point, the only role Bridge plays is hopefully being the place you know your closest friends from (you can also go back and use the lobby as a place for wifi between classes in downtown). This is another area that I think Bridge can be scammy with. The Denver office will tell you they have connections all over the country (and world), and if you decide not to stay in Rio de Janeiro, they’ll help you get situated wherever you want to go. Well, unless your amazing course instructors personally can help with that, Bridge itself has no said connections. Some girls the month after me told them they planned to move to Belem in the north of Brazil, and were told Bridge could help them. They finished the course and Bridge basically was like, yeah we can give you a list of schools in Rio. To be clear, you can also just Google “English schools in __(city you want to move to)___”, and email them on your own, but Bridge isn’t doing any extra work to help you. Also, the schools in Rio know Bridge. Schools elsewhere may not have heard of it. Which is fine, you have your certificate, but it’s not like using some of the much larger companies where everyone knows their name in every part of the world. Leading to my next point..
Who will you be teaching? Another thing I felt I hadn’t been told before arriving, but teaching English in Rio de Janeiro basically means you will be teaching adults, and you will be teaching a mix of conversation classes, business English and general English. I went thinking I would be teaching English to children in a school, and when I arrived I found out that teaching kids wasn’t really an option. When deciding on Bridge Brazil, I was told they would help me with finding any type of job, but there was the most demand for teaching adults. Well, I think they get you in there, and then only really have resources to help you teach adults and they just bank on everyone taking that route. I don’t think they could help you much if you want to teach children. I ended up loving teaching adults and never had trouble findings job with that, but if you have your heart set on teaching children I would recommend doing a lot of research to see how you can go about it. From my understanding, the only options for teaching english to kids in Brazil is for Brazilian teachers in public schools, or foreign teachers with a lot of experience who will be hired by private international schools. As stated above, our teachers were awesome. Aaron and Stuart both volunteered teaching English in different favelas (slums), and shared opportunities with those of us interested. I had the chance to volunteer as an English teacher with children in the City of God slum, as well as in Cantagalo through the Paulo Coelho Foundation. Connections like this happen in Bridge, but make no confusion: Bridge as a company did not facilitate them, it came from our own networking and having met there. Again, when you find out who your course instructors are you can see if they know anything about this, but Bridge itself is not involved in any volunteer English teaching. If you’re interested in this though, you can absolutely find your own opportunities. The Bridge Brazil IDELT Certification is an internationally-recognized, lifelong proof of your certification in Teaching English in a Foreign Language. With invisible air quotes around it. Not all TEFL certifications are created equal- there is a difference in different TEFL certifications, and I didn’t know this for almost a year after I got it. Depending on where/how often you plan to use it depends on if this will ever affect you or not. The CELTA, through Cambridge, is the best. It’s the most challenging, and most respectable certification. If you plan to teach English abroad for a lot of your life, you should do the CELTA. I believe some places offer it in Rio de Janeiro and Sao Paulo, but not as many. The thing is, when I did Bridge, my incredible instructor Fernanda came in with the mindset of giving us the best course possible. Having done the CELTA herself (and taught it), she ran our course as the CELTA. So we got the same level of training, and if anyone wants to challenge my knowledge I know that I can prove my ability as a teacher after her training. But, I don’t have a CELTA, I have a Bridge IDELT, and people may challenge my knowledge because of that. If you plan to only teach once (or maybe a few times) in your life, or only teach in Rio de Janeiro, it doesn’t matter at all. They know Bridge in Rio, and it’s fine. And I think taking the course in the place you want to teach definitely adds a lot of value in terms of adjusting to life there, having contacts, and learning strategies specific to that country. If you think maybe you’ll teach English abroad for the rest of your life in a variety of places, I might say go big with a CELTA. Or, you can do the Bridge TEFL, but know that at some point someone may question its worth or ask you to do additional training to make sure you’re up to par. I moved to Lima, Peru after teaching in Rio with my certificate. One school recognized it, but said I would have to do 2 weeks of unpaid training to make sure I taught at the level of their CELTA-certified teachers (everyone else). Well, that seemed pretty annoying, and since I had 9 months of experience teaching at that point, I just taught privately my entire time in Lima and not a single person ever asked for my TEFL certificate. Another student applied to a program to teach English in China and was basically told that they didn’t recognize that certificate, but it didn’t matter because they would train her anyways. Again, this matters more if you have an idea of what you want to do with it after Rio, but most people don’t and you can always do additional training later if you ever need to, it’s not the end of the world. I got a TEFL certificate so that for my entire life, whenever I want to live in a foreign country, I have a way to get a job. And I think that confidence comes just as much from having learning during the course as it does from having that shiny certificate itself. If you want to teach in Rio de Janeiro for sure (even if you plan to teach elsewhere later), I think the Bridge Brazil TEFL course is worth it. Once you have the experience, you bolster that certification. If you aren’t sure you’ll stay in Rio de Janeiro, I recommend doing research on the places you do want to teach (maybe even email language schools there), and see how the certificate is regarded. Frankly, I think the best option is to do your course in the place you plan to teach first regardless of anything else- this is the most important factor to consider in my mind. My review on Bridge Brazil’s homestays is perhaps the semi-scathing review, unhappy customer feedback I felt I never had the proper chance to give. Brazilians are generally lovely, and I know some students got very lucky. Some as in, there was one guy the other fifteen of us were really jealous of (not the best odds). Let me review the pros and cons of the main selling points. Pro: It feels like a safety guarantee. It feels like a safe option. Having heard about how “unsafe” Rio was, this actually felt like the only option at the time. You’re with a family in a new city and there’s a peace of mind that comes with that. You will show up, have somewhere to go where people and a bed are waiting for you, and you know that for the first month, it will be there to house your stuff and keep you safe. Con: There are a lot of other safe places to live. If you get an apartment in any of the same neighborhoods the families are in, you’ll be just as safe. I was unsure about this and Bridge let me think the homestay was the only real option, so you can imagine how mislead I felt later when I realized that it was more than slightly unnecessary if safety is your main concern. I paid a lot of money for the peace of mind I would have gathered within in a day of being there and seeing it isn’t a terrifying apocalyptic city where everyone is out to get you. It’s simply a way to prolonge having to find said apartment. Pro: You can practice your Portuguese. Apparently, this is the main point of the homestays, and when I told my family I didn’t speak any Portuguese I got the reaction of, “Then why are you doing a homestay?”. If you do speak Portuguese, it’s great because you can make friends with them and practice. If you’re not staying in Brazil for a long time, I think this would have more value as you get the daily interaction of Portuguese you might not get elsewhere. You can ask them questions, you can go places with them (depending on who your family is). Con: If you don’t know any Portuguese yet, you’re not getting what you paid for. Most of the family didn’t speak English, and remember, I didn’t speak Portuguese yet. And their job wasn’t to teach me, they hadn’t signed up for that. So, we hardly understood each other, rarely interacted, and they had to struggle through trying to communicate basic things with me. And if you do speak Portuguese, you’re paying a lot of money to have someone to speak Portuguese with, considering you’re now living in a country of people who speak Portuguese. Go to a bar and make a friend. You’ll get better practice for free (and maybe meet someone you’ll actually stay in touch with, who isn’t talking to you because they’re paid to). Pro: You get breakfast and dinner. So ok, factor that into the cost a little. You never have to grocery shop or cook for the month, and you have home-cooked meals every day. You can sit and chat while you eat, and you’ll see what a typical Brazilian family does for dinner. Everyone was gone when I had breakfast, but it was comforting to see the coffee waiting in a thermos for me, and bread ready for me to take. Con: You’re committed to breakfast and dinner. Food in Brazil is pretty freaking cheap compared to the American dollars you paid for the homestay. Also, you’re in a new city. You’re not going to eat dinner at home every night, and now you’re paying for two meals by going out. And then your family wants to know why you didn’t come home, and you’re finally living abroad but also having to report back to someone. Pro: It’s a pretty cool experience to see how a local family lives. I did love the fact that it was a simple insight into a Brazilian family. I saw where they shopped, what they made for meals, what they watched on TV, how they did laundry, heard what they did for fun (my host mom told me about night swimming in the summer at Arpoador), what they wore, and felt like I was part of a home for a moment. Living with them was very cool, and I won’t deny. I felt a little old for it, but it was kind of nice to be coddled for a month as I adapted. Con: If you stay in Brazil for more than a few months, you’ll probably see that through your friends. If you are able to live with Brazilians or make Brazilian friends, you will see this anyways. If you couchsurf, you’ll see it. If you ever teach a student at their home (sometimes with private students), you’ll see it. It felt nice to have the family there, but I think that’s more an experience for someone coming to study Portuguese and then return home. If you’re here to set up a life in Rio, it’s just a very expensive way to delay having to find your own place and cooking your own food and basically, getting started. It just…It didn’t make much sense, largely given the astronomical cost for what it is. I felt like a genius when I booked it, and a ripped off idiot when I got to Brazil and figured out how things actually work within the first week. And when I met another new teacher who showed up, booked a hostel right near school for $5 per night, made a ton of local friends, got great at Portuguese within the month, and found a cheap apartment through the hostel long before I got scammed on mine, I was wondering why I was paying thousands of dollars to awkwardly pass my homestay mom on the way to the grocery store while she pretended not to see me. Also, just a run-through of other cons, you can’t invite friends over, you don’t know the size or type of family until you’ve committed, most are doing it for the money, and they usually don’t know young people renting out rooms to help you afterwards, so you’re right back where you started with nowhere to live. Also, my family profile said they were a couple and their daughter was abroad in Australia. They just didn’t mention the 35-year-old stay at home son who played video games in his underwear all day, whose wife would visit for the weekend every two weeks (and yes, that is as weird as it sounds). Frankly, even if all the pros panned out for me like they should have, it never would have fully justified the cost for me. You may be sitting in the US and thinking, it’s not that much. When you get to Brazil and see what things actually cost, you’ll feel outrageously deceived. If you want to spend that much money, get a beachfront penthouse in Ipanema for the month, invite all your new friends over, have raging parties, have all of your food delivered and hire a Portuguese teacher to help you practice. It will cost you the same. It’s only really worth it if being with a family is of very high value, and you’re staying for a short period of time in which you really may not get that glimpse otherwise. One bonus of the course is that they’ll give you one week of free Portuguese classes. It’s a good start. It’s hard to learn much in these half-day group courses, but a few of the teachers are really great. You can do it before or after your course. Doing it before your course is great because you will go into that course with the knowledge, and get a glimpse of Bridge before TEFL starts. Also, you will see the prior month’s TEFL course wrapping up, and can talk to any of those students when they’re on breaks if you want some advice. Most people in your Portuguese classes have come to Rio just to learn Portuguese, so if you want to make friends then you’ll want to adventure with them in the afternoons when they’re out exploring. I met some amazing friends through my classes, and it was fun because they were involved in different things than the English teachers (some students, some on vacation, some working in Brazil, etc.). If you do it afterwards, then you can be efficient with your time and do Portuguese in the morning, and English school interviews in the afternoons. If you’re on a tight budget or in a rush to work, this will be a good idea. If you’re serious about learning Portuguese and considering if you should do additional classes (and pay for them), I would recommend looking elsewhere. Do your free week at Bridge and then move on. Again, the prices look good from a US perspective, but are kind of a rip-off once you’re there. You’ll get the most from your time and money if you find an independent Portuguese teacher for private classes, do language exchanges with Brazilians wanting to learn English, and try to live with Brazilians. I felt the Bridge Portuguese classes were very impersonal, a few teachers were golden and many were not good at all, and the teachers kept speaking in English when we had been promised immersion-style courses of only Portuguese. Overall, I recommend doing the Bridge Brazil TEFL course if you want to teach English in Rio de Janeiro. I don’t really recommend the homestay, and I recommend being wary of any additional thing Bridge tries to sell you because it’s generally a rip off. More than anything, I recommend first looking at what you want to get out of the experience, and then contacting recent students and asking them about those goals. Will you take what you need from it? Don’t ask the people at Bridge, ask people who were in your shoes who will be very honest in giving you their review of the course. Find out who the current instructors are, and get emails of recent students and ask what they thought. Doing a TEFL course, whether it’s with Bridge Brazil or anyone else, is a very personal experience because everyone is seeking something different. Keep that in mind, and know that whether it’s “worth it” or not largely depends on what you want and need from it, and that varies greatly from person to person. If you are researching a different TEFL course in Rio de Janeiro as well, I would recommend the same approaches. Read reviews online, but focus on getting a live human through email and as them what they thought. You can also find many former students through the Facebook pages of Bridge Brazil and other schools. Don’t be shy in reaching out. You’re considering moving to Brazil, so the researching phases are hardly the boldest things you’ll do. You are more than welcome to ask me any questions, and I will gladly answer candidly here or help you speak with others who can. If nothing else, I hope this will give you the basic understanding of what the course offers, and help you decide if this is something you want to pursue. For this post, I would love if you could direct all questions to the comment section below (rather than email or DM) so that others can see the responses as well! 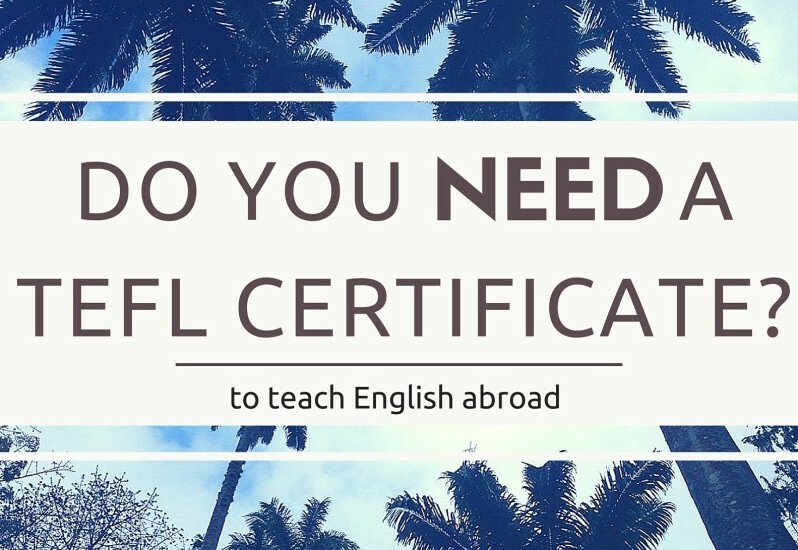 Do you need a TEFL certificate to teach English abroad?